Check and change all of EXIF inoformation in a few clicks. As we all know, most digital cameras record and save EXIF data with every photograph. 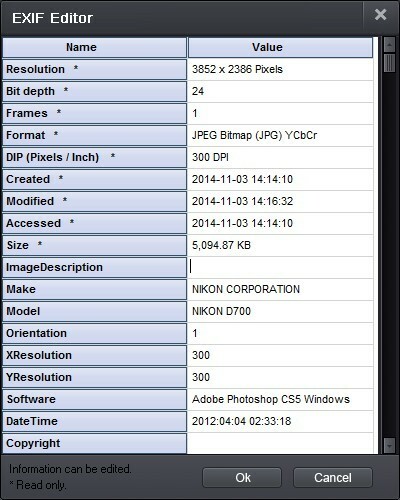 If you want to change the EXIF info, you need a professional tool for viewing and editing Exif data of photographs. Load one single digital photo to the EXIF tool, or you’re allowed to add multiple photo files/a photo folder as this is a batch EXIF editor. The batch editing mode means that you don’t need to edit EXIF one photo by another, which saves you tons of time. Note: All popular image formats are supported, like JPG, GIF, BMP, PNG, TGA, TIF, ICO, PCX, etc. Click the “EXIF Editor” icon at the top of the software interface to enter the editing window. Before editing the EXIF info, you’d better browse through it first. This software displays the complete details of image EXIF including resolution, format, DPI, date for the photographing, size, camera model and many more. Select what you want to modify.Change the camera model from “NIKON D700” to “NIKON D750”, and remove the “Software” information with the EXIF remover, for example.Then click “Ok to save the changes. Note: If there is the sign * in front of an item, it means that the value could be read only, and disallow editing. You can feel free to remove or change the EXIF value you have access to edit. 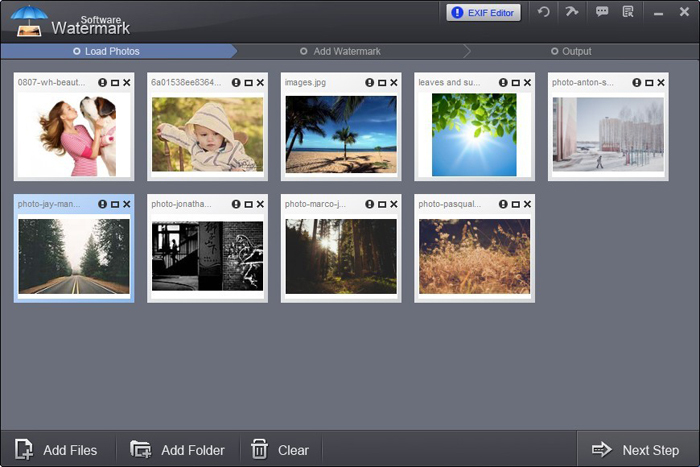 Watermark Software (photo edition) : This watermark tool provides professional image protecting solution for your online photos. 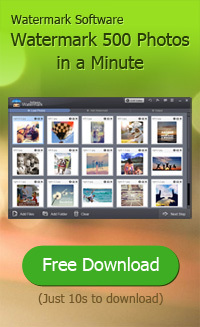 The exclusive image processing technology lets you able to watermarking 500 photos within 1 minute. You can also edit the EXIF information in batch mode.